(SWRG), a collection of iconic American steakhouses, is celebrating the spirit of the Irish with the return of their ultimate Steak & Whiskey Event, taking place Feb. 12 through St. Patrick’s Day, with limited availability after. 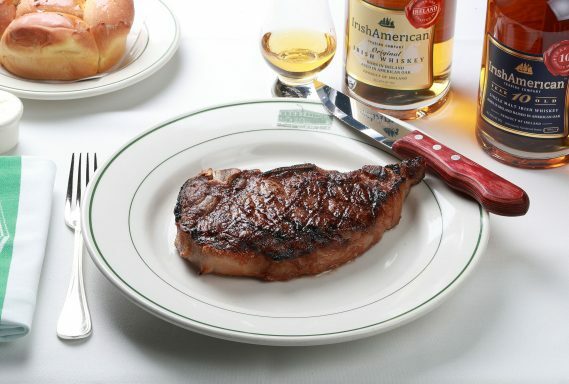 During the Steak & Whiskey Event, Smith & Wollensky will showcase IrishAmerican™ Whiskey inspired cocktails, a specialty tasting flight and the coveted crown jewel of the Steak & Whiskey event- a Double R Ranch USDA Prime Bone-in New York Cut Sirloin. Known for its on-site dry-aging process, the restaurant team is taking one of Smith & Wollensky’s most popular cuts, wrapping it in an IrishAmerican Whiskey-soaked cheesecloth, and aging it for 30 days to create a unique whiskey-infused flavor within this signature dry-aged cut. A video of that process is available HERE. 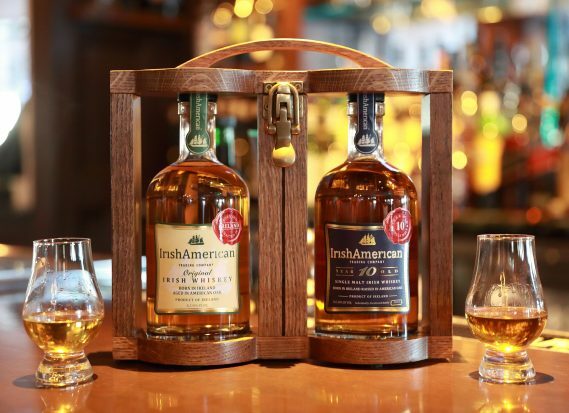 · Whiskey Tasting Flight- this tasting flight features IrishAmerican Classic, which uses 70% malted Irish barley in its blend, and the IrishAmerican 10 Year, which uses 100% single malted Irish barley, for guests interested in tasting both premium selections available. Each have unique differences in appearance, flavor profile and richness. Priced at $18 for two one-ounce flights. 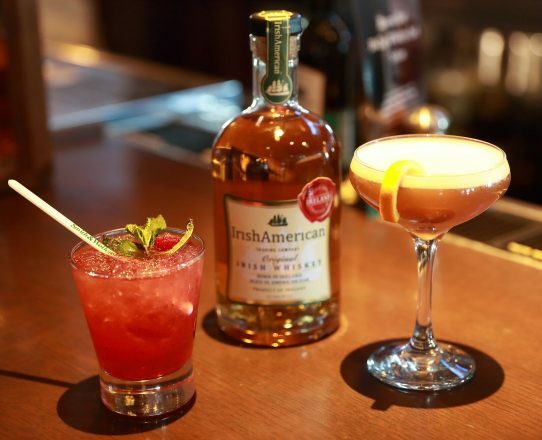 · Signature IrishAmerican Cocktails- perfectly paired with steaks or enjoyed on their own, choices include a IrishAmerican Smash (IrishAmerican Classic Blend, mint, mixed berries, lemon, simple syrup) and IrishAmerican Club (IrishAmerican Classic Blend, apricot brandy, dry vermouth, egg white, lemon, simple syrup, orange peel). Each priced at $16. As producers of classic Irish Whiskey, IrishAmerican™ Whiskey receives its distinctive trademark name as their whiskey is matured in first fill ex-American bourbon casks and distilled in the southwest coast of Ireland. The casks and aging create an exceptional flavor that is filtered in a non-chill process, allowing the taste and character of the casks to come through. To learn more about the Smith & Wollensky Restaurant Group, visit www.smithandwollensky.com and www.wollenskysgrill.com.